The Johnson House and Cliveden are located within walking distance. We have paired these sites together due to this physical proximity as well as the possibility of exploring their shared historical narrative of slavery. 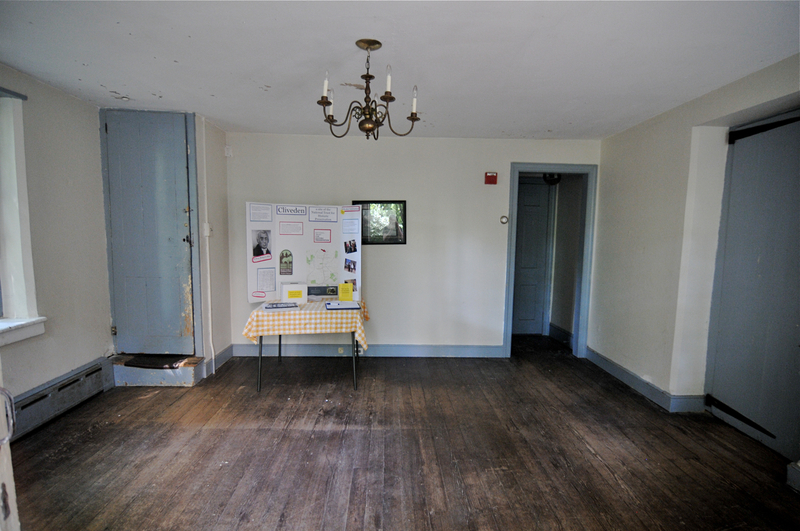 Johnson House served as a stop on the underground railroad while Cliveden was owned by a family that operated plantations. Proposals may be made for a single site or there may be a project that can tie these sites’ legacies together. Both sites currently operate as historic sites with regular docent tours. Johnson House was at the center of two great battles in American history: one military, one cultural. The three-story stone house was built in 1768, making it one of the oldest in Germantown. A Dutch immigrant named Dirk Jansen had the house built as a wedding present for his son, John Johnson. The Johnsons were a Quaker family, and one of the wealthiest in Philadelphia. They owned a large estate called Upsal in what is today the middle of Germantown. This estate gave its name to the Upsal train station nearby. 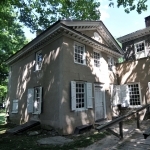 At the time it was built, the Johnson House was one of the largest in Philadelphia. Some of the neighbors thought it was ostentatious, contrary to Quaker values. Flashy or not, the sturdy stone walls would soon prove their worth. 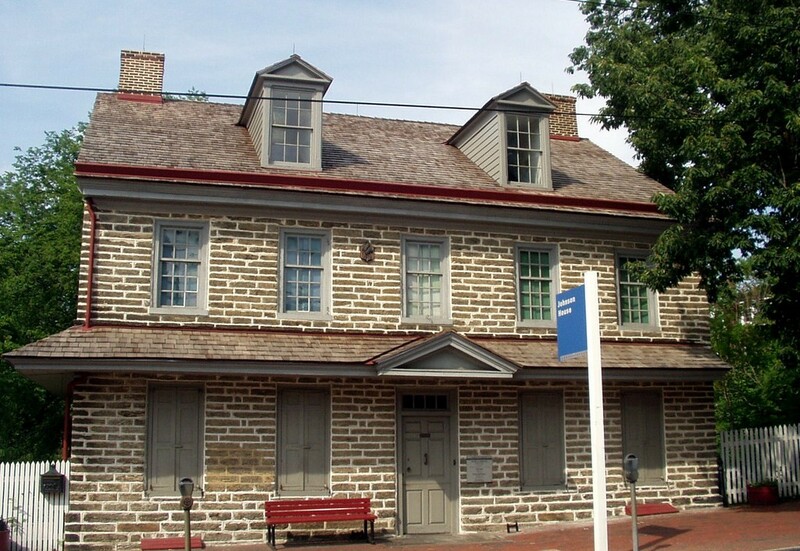 In 1777, the Johnson house was at the epicenter of the Battle of Germantown, a bloody defeat for Washington. The Johnsons hid in the cellar as musket and cannon balls ricocheted off their house. To this day, the shutters have holes in them from musket balls. After the battle, British soldiers broke into the Johnson kitchen and ate some of the family’s food. John Johnson’s son, Samuel, would be at the center of another storm: the struggle over slavery in America. Samuel Johnson moved into the house in 1805. By this time the Johnsons were among the leading abolitionists of their day. They belonged to groups like the American Anti-Slavery Society and the Germantown Freedman’s Aid Association. 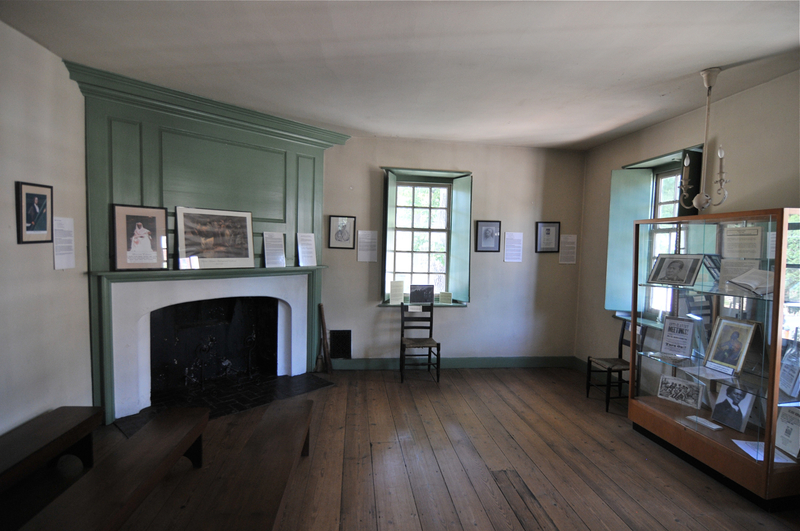 By the 1850s, Samuel’s house had become a stop on the Underground Railroad. It is the only Philadelphia stop that still survives and is open to the public. There is documentation showing that famous “conductor” William Still worked with the Johnsons and attended abolitionist meetings with them. According to family lore, Harriet Tubman also passed through the house on her way north. The house belonged to the Johnson family until 1908, when it was slated for demolition. In 1917, the house was bought by a civic group called The Woman’s Club of Germantown. They used the building as their headquarters until 1980, filling the house with antique furniture and china. In 1972, the house had been listed as a contributing structure in Colonial Germantown National Register Historic District. In 1995, the Philadelphia Historical Commission put a Historic Marker in the front yard, honoring the Johnson family’s contribution to abolitionism. The house was made a National Historic Landmark in 1997. Today, the house is run by a non-profit called Johnson House Historic Site Inc. 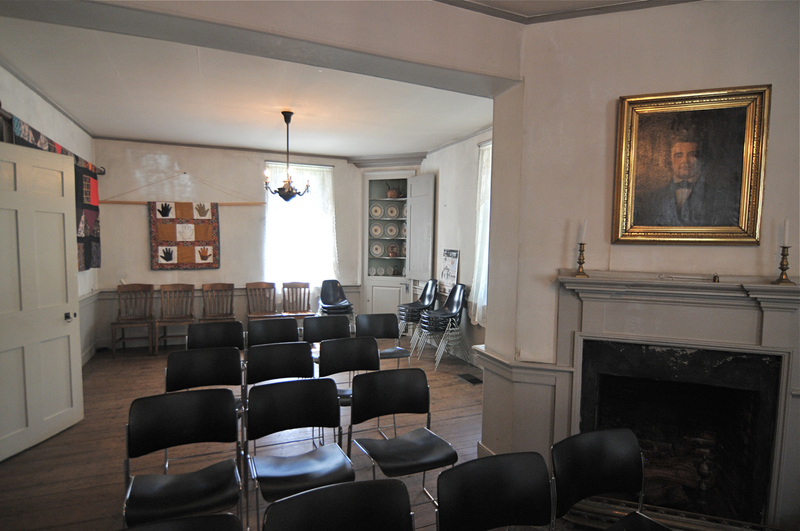 The house has regular tours and a museum of artifacts from the Underground Railroad. It also hosts a number of yearly programs, like Jazz in the Garden, Kwanza Family Celebration, the History Hunters Youth Reporters Program, the National Juneteenth Celebration, the UBUNTU Project, the Freedom Quilt Project, and the Revolutionary Germantown Festival. 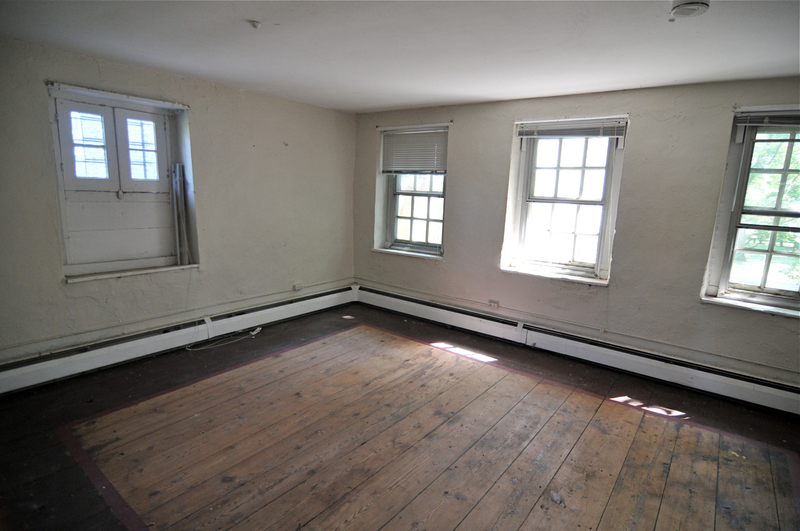 We are interested in receiving proposals that make use of the Johnson House attic, the site where fugitive slaves were hidden (the second photo in the module at the top of this page). 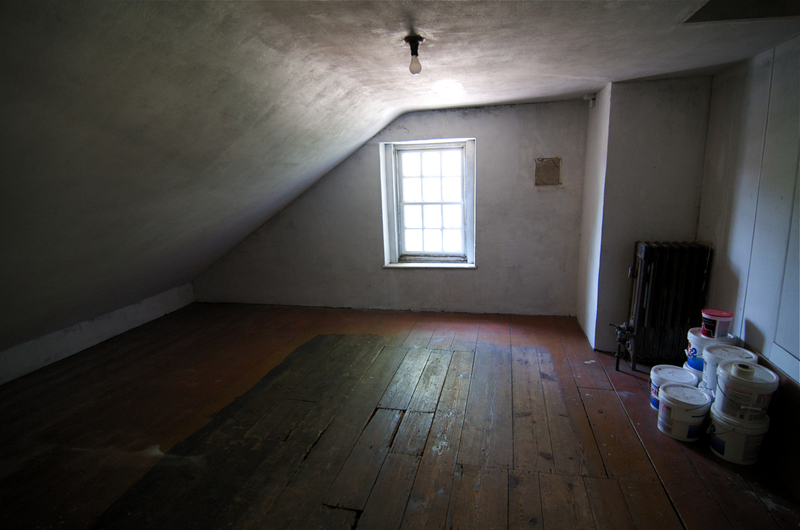 This room is quite small, about 10 feet by 15 feet, with a steeply sloping roof that is less than six feet tall at its highest point. 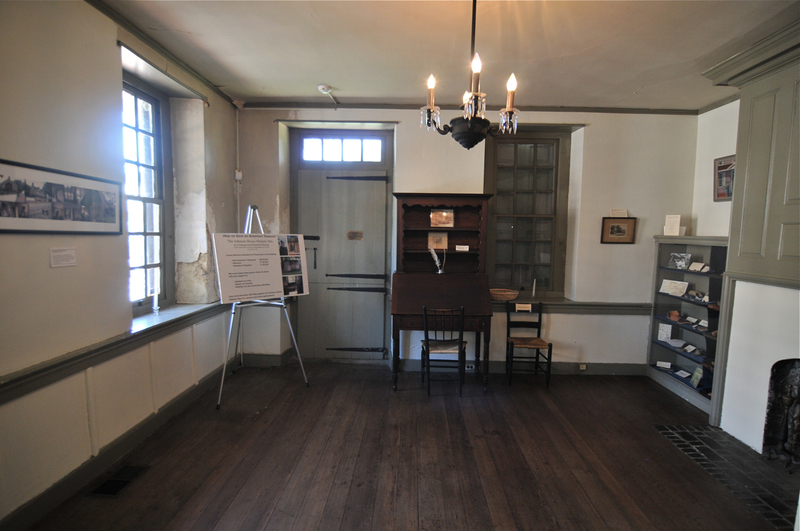 The room can only hold a small group at any one time (possibly up to 5 visitors at once). 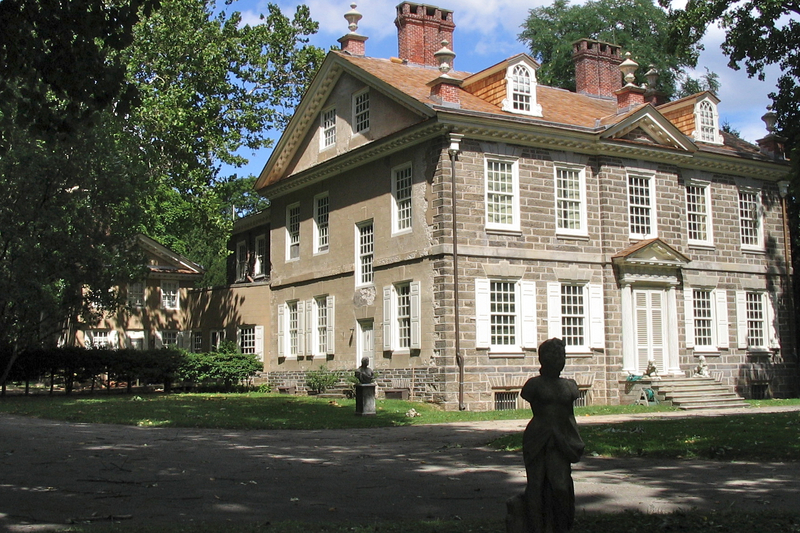 Cliveden is a historic site located in the Germantown neighborhood of Northwest Philadelphia. The 5.5-acre property is known for its role in the 1777 Revolutionary War Battle of Germantown. It was home to the Chew family for seven generations, a family which derived its wealth from the practice of law, landholding, and plantation production in the Mid-Atlantic region. 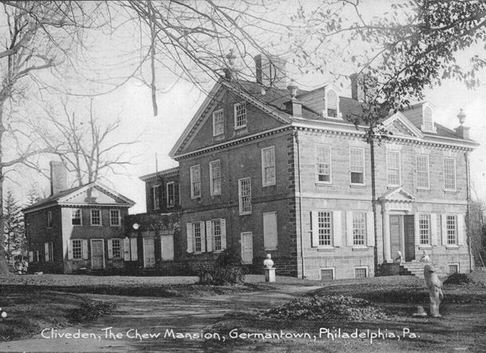 Benjamin Chew had Cliveden constructed from 1763 to 1767 as a summer home to accompany his other residences in Society Hill and Delaware. Chew was a Supreme Court Justice for the State of Pennsylvania and was among the area’s wealthy elite. Although alterations were made over the years, Benjamin Chew’s 18th-century house remains remarkably intact. In 1867-68 Anne Chew added a two-story wing to the rear, but designed it so that it could not be seen from the front of her grandfather’s house. In the 1950s, Cliveden’s last private owner, Samuel Chew III, tucked in closets, bathrooms, a modern kitchen, and built a patio and swimming pool to accommodate his young family. 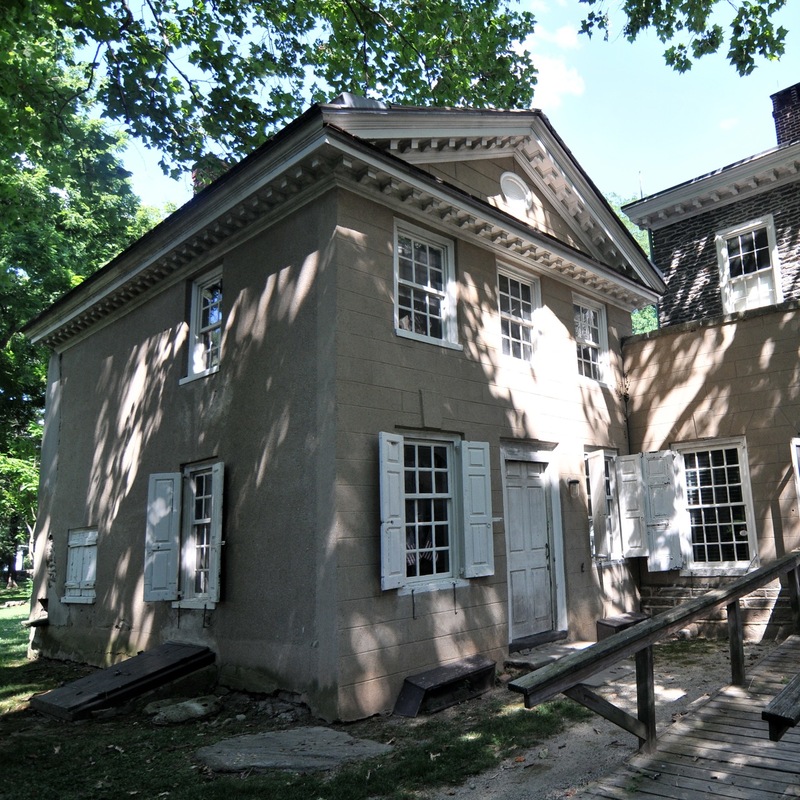 The Chew House played a major role in the Revolutionary War. On October 4th, 1777 the Battle of Germantown took place on Cliveden’s grounds. The British, under Colonel Thomas Musgrave, occupied the stone house, and with only muskets and bayonets fought off an attack by George Washington’s army, which was repelled and sent back down Germantown Avenue in defeat. Ben Chew Jr. inherited Cliveden in 1810 and expanded the grounds to 66 acres. He welcomed the Marquis de Lafayette when the Frenchman visited the Germantown battleground as part of his triumphal American tour in 1824-25. When Ben Chew Jr. died in 1844, the family fought bitterly over Cliveden’s ownership. The favorite villain was his son “Bad Ben,” who removed and sold important family heirlooms until his death in 1864. The heroine proved to be his sister, Anne, and her nephew Sam, who determinedly decided to save her family’s home and honor. Thanks to Sam’s efforts to invigorate the property’s prominence, Cliveden became increasingly identified as a national monument. In 1966, Cliveden was designated a National Historic Landmark, part of the Colonial Germantown Historic District. In 1972, the Chew family transferred ownership of Cliveden, its remaining 5.5 acres of parkland, and its collection of artifacts to the National Trust for Historic Preservation. 220,000 Chew family papers discovered throughout the house are currently being archived by a team from the Historical Society of Pennsylvania. These papers are shedding light on the history of slavery in Philadelphia and the region. They also tell stories of resistance, bravery, and individual people’s lives. The Chews had plantations in Delaware and Maryland worked by enslaved Africans and African-Americans until at least 1831. These provided income to help the family support its lavish lifestyle. The Chew family tradition of preserving, researching and interpreting this legendary house to the public continues today. Cliveden operates as a historic house museum and offers tours April through December. The site also hosts concerts, lectures and workshops, annual celebrations and special events, making Cliveden a vital member of Philadelphia’s Historic Germantown Neighborhood in Freedom’s Backyard. Slaves lived in a house separate from but connected to the main estate. 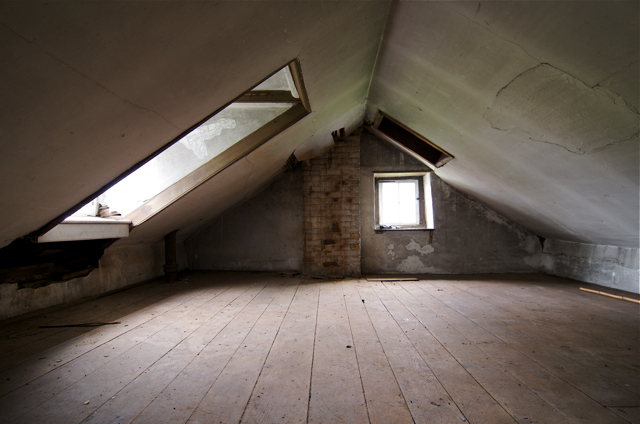 A caretaker lived in the house for many years and the rooms have only recently been cleared out. We are interested in proposals that make use of this 2-story structure, which contains scant interpretive material, making it a blank slate relative to the main house.